Here we go! 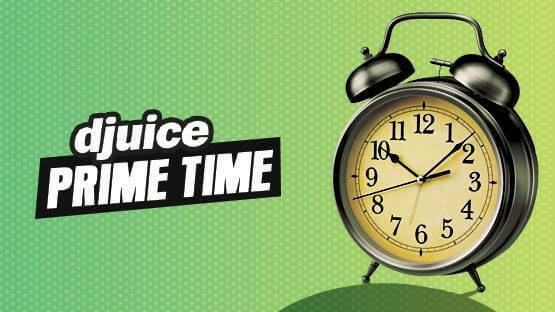 Telenor introduces once again astonishing calling offer for all Djuice users with the name Telenor Djuice Prime Time Offer. Telenor is remarkable telecommunication brand of Pakistan and it always brings fantastic features for its valued subscribers of Country. It is providing an exceptional calling offer for all cellular operators who are using Djuice connection. Customers can avail prime time service for making unlimited phone calls on same network numbers by availing this offer. This package has generated all those cellular operators who really like for making non-stop phones call many times in a day so the wait is over. This offer has launched for all these kind of people and you just need to subscribe this feature and avail almost unlimited phone calls on specific time on Telenor friends and family number. In this present scenario many cellular operators communicate with his/her loved ones through cellular phone and they really like for using single package that provides phenomenal incentives for calling on daily routine. Telenor always creates feature as per customers feed-back and finally it has launched such a mind-blowing calling offer for its valued subscribers of Pakistan and now all cellular operators who are connected with this network can avail unlimited phone calls on friend and family numbers by using this offer. This facility is available all across in Pakistan and all the subscribers of this network enjoy non-stop calling service for a day any place of Country. It gives an option for close distance from your loved ones within seconds and communicates with his/her many times in a day without any problem. Telenor always introduces packages with cheap charges and different class cellular operators who are using Djuicesim can easily afford this package for using on regular basis. The details of this feature are available as below. Customers can activate this feature by dialing *345*929#then press call button. Subscribers also get message from help-center side of activation confirmation. The charges of this feature are RS 4 plus tax. Subscribers can avail this package between timing (9PM – 9AM). 24 hours validity is available of this package. This will be automatically de-activated after end of validity. Customers can only avail this package on Friends and Family numbers (FNF) for calling. Subscribers can add friends and family number by dialing *7777*1# then follows the instructions. This service only available for prepaid customers. Talkshawk customers can only avail this facility after migration on Djuice. Customers can also use other Telenor call packages with this feature.